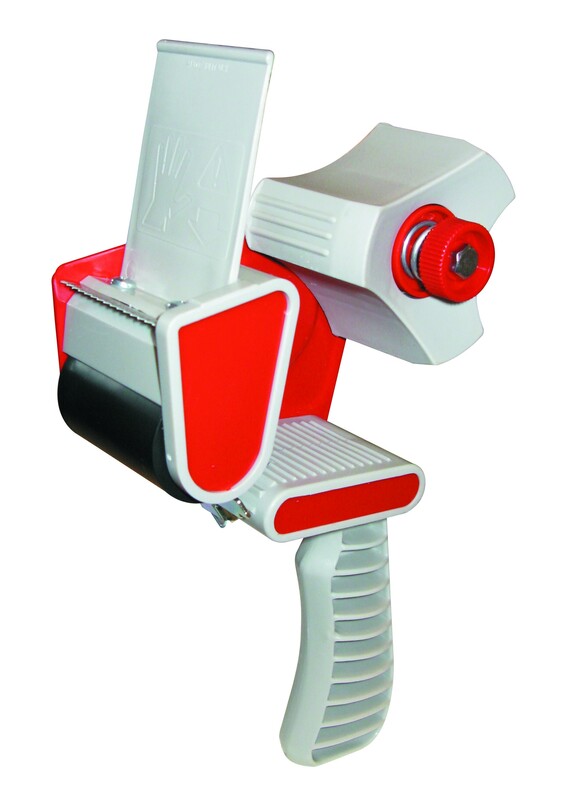 TAPE DISPENSER PISTOL GRIP PLASTIC ROLLER & BRAKE 2"
The Pacplus tape dispenser suitable for 50mm tape is an excellent tool often used in businesses that deal with packaging on a daily basis. The device features a plastic roller and adjustable break so that you can control the speed at which the tape comes out. Easy to hold the dispenser features a grip handle to give you maximum control when sealing and securing boxes. The blade is completely replaceable ensuring that high quality cutting of the tape is never jeopardised. Made to the highest of standards for a reliable and professional finish.